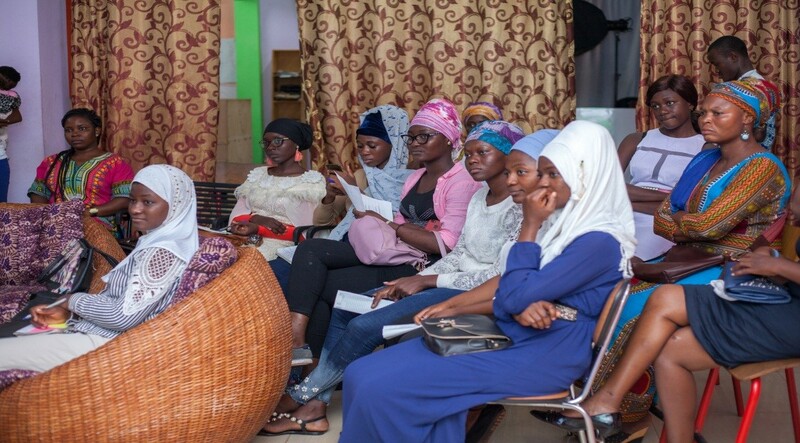 On Friday, 11th May, 2018, entrepreneurs in Tamale met with the Ministry of Business Development to share ideas that will help to reshape and influence the development of start-ups through building a sustainable entrepreneurial environment in the country. The round table discussion organised by Hopin Academy and Konrad-Adeneur-Stiftung brought together entrepreneurs from the region who worked in different fields like agribusiness, film makers, tech, social entrepreneurs and other ventures shared their experiences, challenges and recommendation to the representative of the minister, Mr. Yakubu Yussif, Manager, Programs at the Ministry of Business Development. The platform also gave the Ministry opportunity to clarify issues raised by the entrepreneurs and also made assurance to start-ups that their suggestion will be considered in making the national policies agenda for the entrepreneurs in the country. Mr. Yussif reiterated the government agenda to creating enabling environment for start-ups to grow and help in reducing unemployment in the country. And to ensure this happens, the ministry mandate is to help empower the private sector as it has always been the plan of the Nana Addo led government. In the government quest to empower entrepreneurs in the country, the Ministry of Business Development is organising mentorship program in the country. 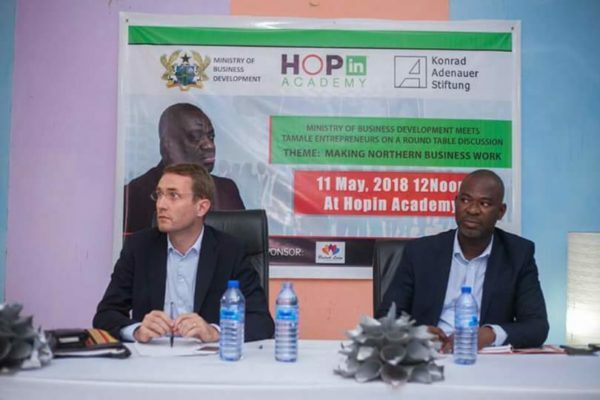 Hopin Academy in Tamale is to trained youth in the country under the National Entrepreneurship and Innovative Plan (NEIP) in building their capacity and also providing funds for them to start their business. But the representative from Konrad-Adenuer-Stiftung had different views of entrepreneurs relying much of the time on government to come to their aid. According to Mr. Burkhardt Hellemann, entrepreneurs should not depend that much on government to solve their problems or waiting on government to give them capital to start their business but they can also network and find some of the solutions to their problems by themselves.